At RubberFlooringInc, we offer a wide range of transportation mats that fit any OTR need. 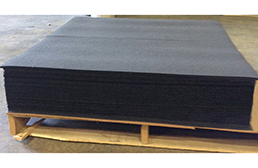 All of our transportation matting is constructed of rubber in sheets and rolls. 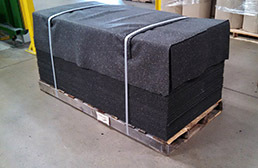 These rubber mats help to protect cargo from damage caused by pallets. These mats are commonly used under paper rolls, but are great as moving blankets for furniture, machine parts, flooring, furniture and much more. Transportation matting provides the ultimate level of transportation security. 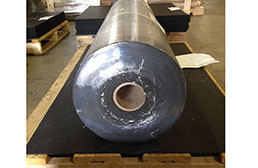 Use as rubber cushioning when transporting paper rolls, as shipping mats, or as friction mats for trailers. Similar to AAR approved mats, these over the road (OTR) approved mats and rolls are high quality and perfect for the same functions as well as well as many residential and small business needs. 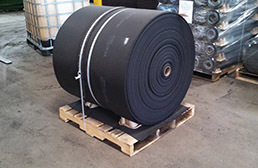 These versatile rubber rolls and mats have even been used as moving pads and moving blankets for furniture and appliances, as pallet liners for transporting machine parts, construction materials, and much more. If you have any questions regarding our disposable anti skid mats, please feel free to contact our friendly team at (800) 613-0996.